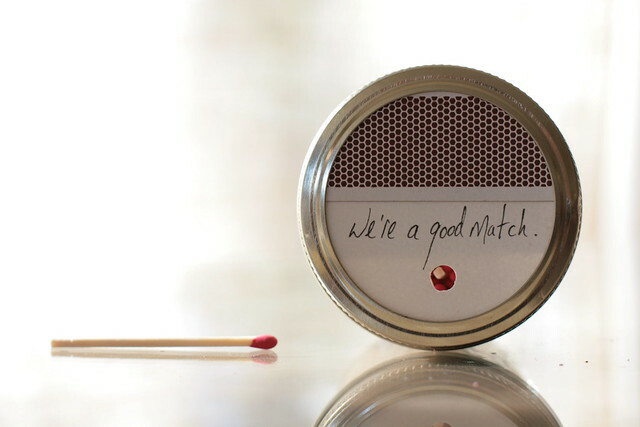 A Foothill Home Companion: Got Matches? 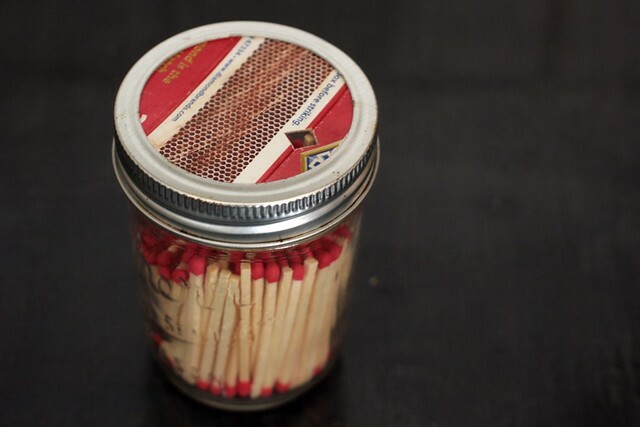 While trolling through Pinterest, I found a brilliant idea: matches in a mason jar with black sand paper on the lid for a strike plate (of course, I forgot to pin it and can't find it now). Problem: I didn't have any black sand paper. Solution: I used the match box. 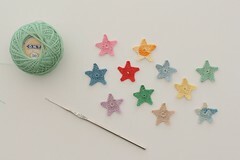 Super easy and highly functional - my favorite kind of project. 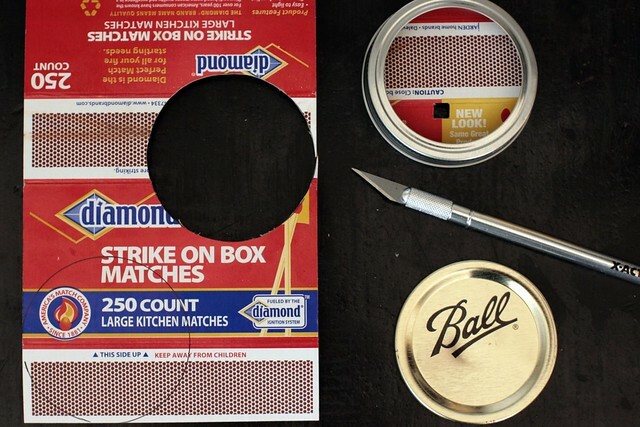 By cutting a small hole in the cardboard lid, I can shake out a match instead of opening the jar to retrieve one. I made one for the kitchen and one for the hearth. Then I made another for George's brewery. Maybe your flame needs one too. Maybe for Valentine's Day. What a super idea! I don' t have any black sandpaper either or matches for that matter, but they just went on the market list! Love it! I'm pinning this so I don't lose it. i love this! gotta make some for me/us although I will admit that i may look for a plastic container. my husband tends to abuse our matchboxes. this is a fabulous idea. I could not figure out how to do a Valentine for Hubby. Now I do, thanks! What a fab find, Molly. And The Doors - must pick them up at the library this week. What grade of black sandpaper would work for this? I love putting in under the lid, I would do this for camping matchies and just tape the striker on the outside (can't find strik anywhere matchies anymore). Thanks so much. What an awesome idea! 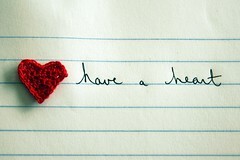 And so current with Valentine's Day just ahead! Thanks! Brilliant, Molly! I love this idea. I will be doing this today and fortunately, I have sandpaper because I have a little boy here who just two days ago asked if he could have the matchbox. I think pretty much anything looks cool in a mason jar. :) I especially love the "good match" one. 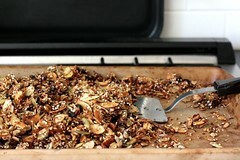 Oh yes, will be making this for Jonny!!! 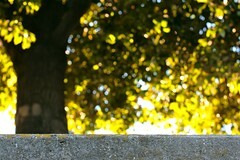 You always amaze me with your cleverness. Great idea, I have a major case of 'Jar Love' and this totally fits. Thanks for sharing your clever idea!! Brilliant! 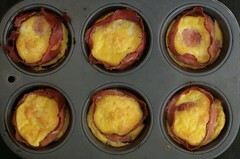 I will make this for my sweetie. What a GREAT idea!!! Thanks for sharing! so great. my favorite parts: the little hole to let one match through, and all the puns you're coming up with to write on the top. Great idea! And I like your solution to no sandpaper... in fact, I like it better than the sandpaper! Thanks for sharing. Your idea is better. Wish I'd seen this before Valentine's Day. So clever. I did this, it worked beautifully. Now my husband and I are never arguing over where the matches are! Thanks! You are brilliant!